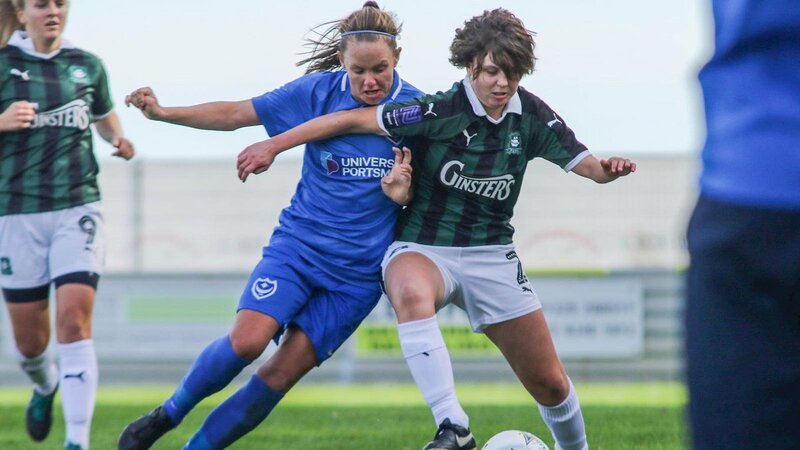 PLYMOUTH Argyle Ladies will be targeting all three points when they play Gillingham at Bovey Tracey FC on Sunday in the National League Southern Premier Division (1pm). The match has been switched to Bovey Tracey as Coach Road is unavailable this weekend. Argyle will go into the fixture still buzzing after playing in front of 846 fans at Home Park last week when they drew 2-2 with Portsmouth in the Dockyard Derby. Joint manager Trevor Rodd reported that the Pilgrims have an almost fit squad to pick from, although there is a doubt about Helen Bleazard, who has not fully recovered from an ankle injury and full-back Darcey Hepworth, who came on as a substitute against Portsmouth after suffering a quad injury. Kelly Vinnicombe returns to the development side, while striker Natasha Knapman will be eager to add to her goal against Portsmouth. “We had a good training session and everyone is looking forward to the match,” said Rodd. Argyle, who sit seventh in the 12-team table, beat Gillingham 4-1 at the beginning of the season, thanks to goals from Bleazard, Zoe Cunningham, Kate Middleton and Mollie Taylor, and will be looking to push on and secure a top half finish. Ninth-placed Gillingham have had a strange season. They have not done that well in the league and suffered a 9-0 drubbing at Coventry United last week, but they have played well in the National Plate competition, where they will play in the final against Milton Keynes after seeing off Luton Town (5-4), Chesham United (5-0), Stevenage (4-0) and West Bromwich Albion (1-0). Argyle squad: Sarah Prior, Leah Burridge, Kate Middleton, Mollie Taylor, Ebony Dover, Steph Beck, Becki Dandridge, Kayley Lane, Amber Pollock, Natasha Knapman, Faye Ivall, Zoe Cunningham, Jessica Jones, Panagiota Papaioannou. Argyle’s development team go into the final game of the season with their fate in their own hands. They travel to St Agnes knowing that a point will clinch the South West League Western Division. They welcome back goalkeeper Amy Darnley and also in the squad is Lucy Solloway, who has been out with a long-term injury. Solloway was not expected to return until next season but her rehab has gone far better than first forecast. She has put in a lot of hard work and has trained really well with the squad for the last couple of weeks. Also back from injury is Shania Fenlon and the team welcome back Vinnicombe after making a substitute appearance for the first team last week against Portsmouth. Argyle development squad: Amy Darnley, Vicki Fannon, Becky Parkyn, Tamsin Medd-Gill, Rachel Javan, Sally Salter, Lucy Solloway, Nicola Champion, Alex Hugh, Kiara Robins, Dani Salt, Gabi Alphous, Maya Ridge, Shania Fenlon, Kelly Vinnicombe, Hannah Brock.